Cleaning granite countertops can be tricky. 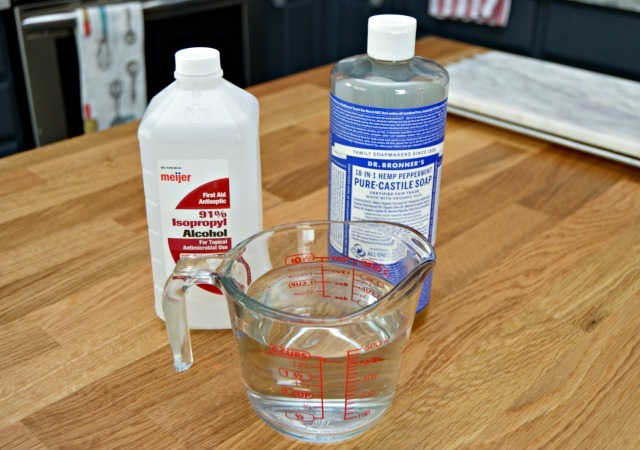 You really aren’t supposed to use cleaners with vinegar, lemon, orange or ammonia. You also need to stay away from using store bought glass and kitchen cleaners too. 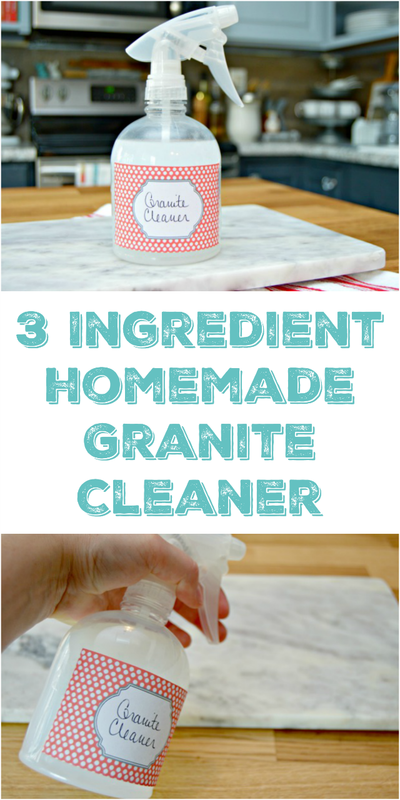 This Homemade Granite Cleaner is safe for granite countertops and will leave them clean and sanitized. 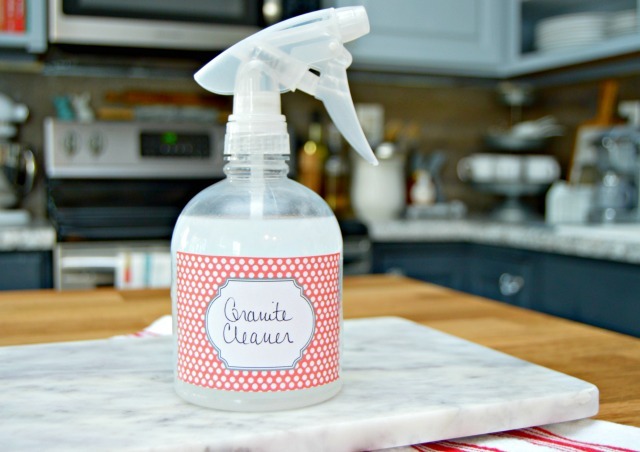 With just a few sprays of this homemade granite countertop cleaner, you can keep your counters clean and stain free! This post contains affiliate links, which means if you purchase product using them, I will receive a small commission. 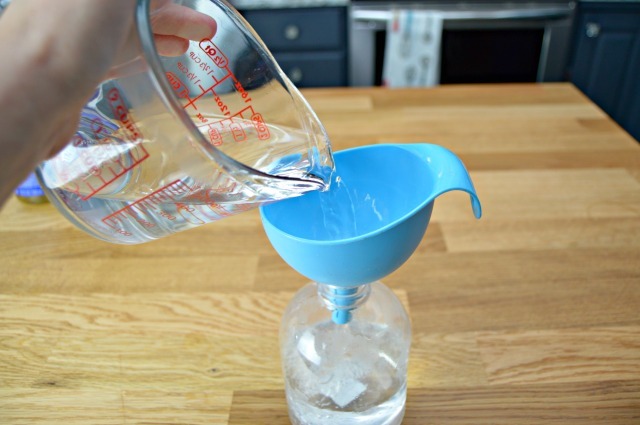 Start by pouring 2 cups of water into a clean spray bottle using a funnel. Next, add 3 Tablespoons of Isopropyl Alcohol. This helps the cleaner to clean and dry quickly without absorbing into the granite. 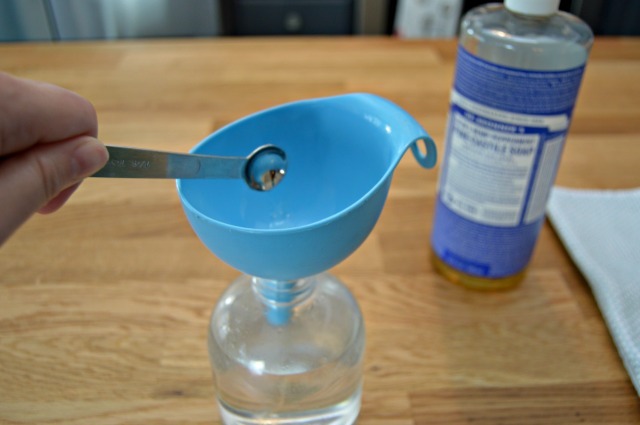 Then add 1/4 Teaspoon of Castile Soap which will help remove any dirt or residue. Shake well before each use. 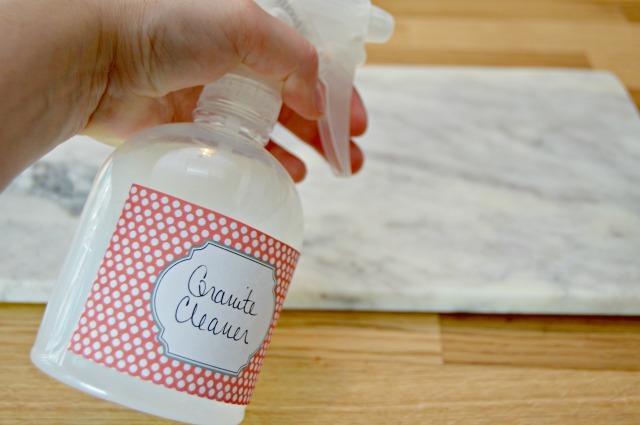 Spray a generous amount on your granite and wipe away using a clean microfiber cloth. You can print my Free Printable Cleaning Labels HERE to use on your homemade cleaning solutions! 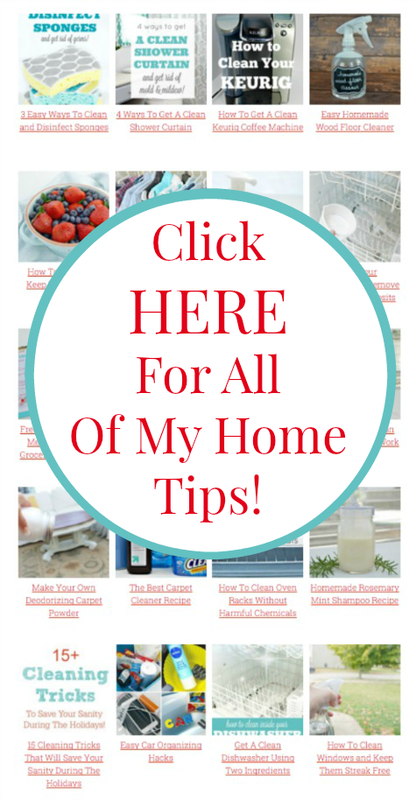 Find all of my Cleaning Hacks and Home Tips HERE! But, do you have Amy tips for removing spots from water or other liquids on the surface? I have gone on numerous website but I must tell yOu that your website is far and away my favorite. 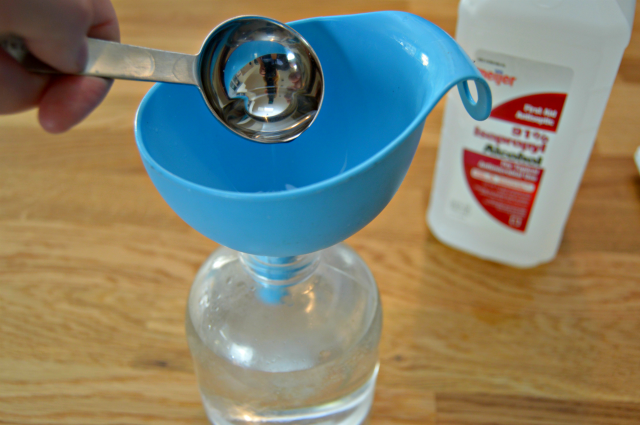 Your cleaning recipes are easy to make, smell wonderful and WORK. Thank you so much for sharing your wonderful talent. Can I add peppermint to this? We have a problem with ants and would like to try this on our granite counters to see if it will work. Thanks! Jess have you tried your granite cleaner on ceramic floor tiles?